Auto-Chlor System / Golden Light Equipment Co. owes its origin to a coffee company that came about in mid 1920. Today we provide cleaning supplies and dishwashing equipment to institutional kitchens and laundry and housekeeping products to healthcare and lodging operations in West Texas, Southeastern Colorado and Eastern New Mexico. We have branches in Amarillo and Lubbock, Texas. 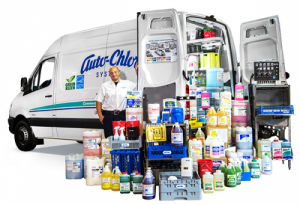 We are a third-generation family owned business operating as an Auto-Chlor System Dealer for over 40 years. Our family values and longstanding commitment to the community translate to the support we offer our customers. We are fortunate to have many long-term employees. Our route sales positions offer a commission based compensation program, benefits, holiday and paid vacations. If you have a good driving record and seek an outside route sales position, please submit an application.